Ms. Pullin’s professional experience includes probate, guardianship, intellectual property, and appellate advocacy. 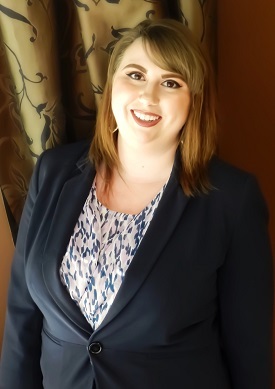 Having graduated on the Dean’s List from Baylor University School of Law in April 2018 and passing the Bar exam in September 2018, she is the newest attorney at The Dean Law Firm. While in law school, Ms. Pullin clerked with the Honorable Josh R. Morriss III, the Honorable Ralph K. Burgess, and the Honorable Bailey C. Mosely at the Sixth Court of Appeals in Texarkana, Texas, where she worked alongside staff attorneys researching answers to civil and criminal appeals. She also clerked with the Honorable Mike Wood at the Houston Probate Court No. 2 in Houston, Texas, where she worked with Houston’s citizens in their applications for probate, guardianships, and heirships, as well as assisting on the civil docket. Ms. Pullin interned at the Randle Law Office, a Houston law firm that focused on government and public administration representation for cities around Houston. While at the Randle Law Office, Ms. Pullin grew in her estate planning skills, as she also handled probate and estate administration issues for the firm’s clients. As a student, Ms. Pullin spearheaded the Baylor Intellectual Property and Entrepreneurship Clinic, serving as the student supervisor as she assisted clients all over Texas, from state agencies to wannabe rappers, with their trademark and copyright needs. She also participated in the Baylor Veteran’s Clinic, where she assisted Veterans with writing their wills and powers of attorney, as well as navigating other legal issues such as criminal accusations and sticky timeshare agreements. She spent her last quarter volunteering at the newly-established Baylor DACA clinic, which helped Deferred Action for Childhood Arrival students renew their applications. In her third year, Ms. Pullin received the David & Zandra Swenson Intellectual Property Law Award, which was presented to students who demonstrated outstanding academic achievement in the area of Intellectual Property. After she graduated, Ms. Pullin was a guest speaker at the Diversity in Law Conference in Killeen, Texas, where she encouraged girls and minority students to pursue their dreams in legal education.